These days, you wouldn’t necessarily associate the River Nile with exotic fruit, however in the ancient times, when Egypt were rulers of the world it was a hustling and bustling trade passage filled with exotic fruits, merchants, and precious metals. 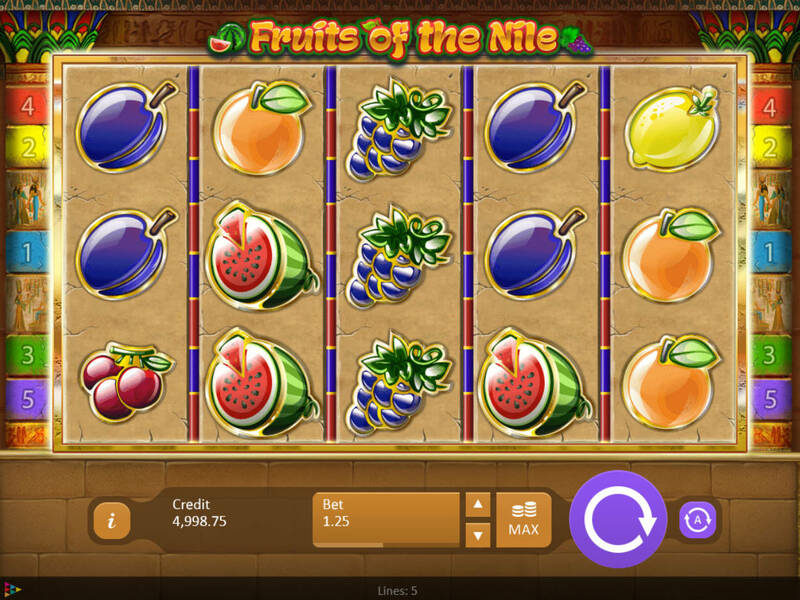 Enter the pyramids and spin through this 5 reel online slots game that allows you to match all the traditional fruit machine symbols in return for great rewards. Based in Malta, Playson are a Swedish developer, and they pride themselves on delivering games of skill and social games to a very high level, due to their development with superb graphics. Their company may be small, only having about 250 employees, however their games are distributed amongst very well-known sites such as slot games online Casino. 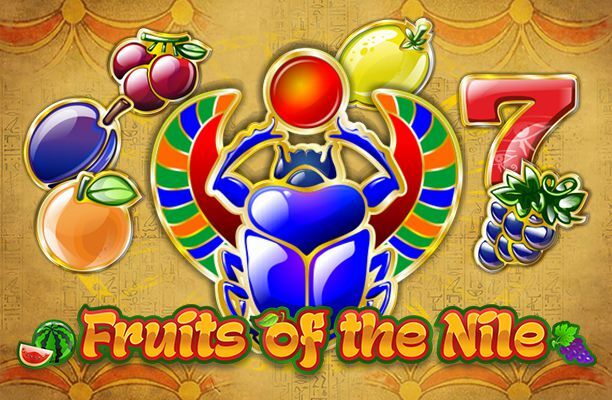 Try out Fruits of the Nile and see if you can walk away with a fruitful prize, worth more than your 5 a day! The Ancient Egyptian civilisation were wholly dependent of the River Nile for drinking water, food, trade, and transportation. It was also seen as a symbol of luck throughout Egypt due to the fact it provided so much for so many people! 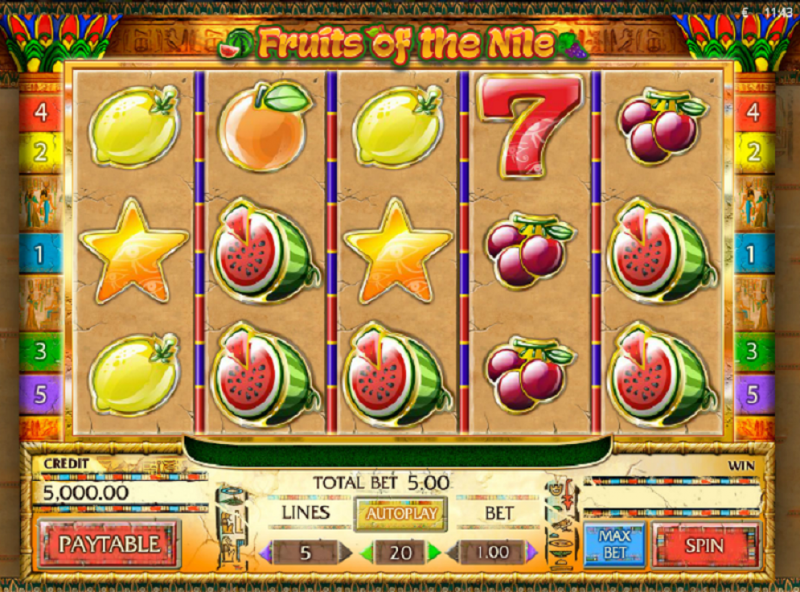 Now, you can test your own fortune and luck with one of Playson’s recent additions, Fruits of the Nile, which is an enjoyable game for many with the use vibrant colours and its dedication to sticking with the Egyptian theme as the reels are set against an ancient stone wall with pillars, that you may expect to find in one of their most infamous pyramids. This is the ideal slot-game for beginners, as the simplicity of the game-play and uncomplicated bonus features make it easy for those wanting to know more about how these games work. It does offer a little different from the traditional slots though as it provides you with 5 reels and 5 active pay-lines as opposed to 3 reels and an individual pay-line. There is also another bonus where you can win rewards from both left to right and right to left, doubling your chances on just one bet! No need to loosen your purse strings too much as you make your way through this ancient world, as bets start at just a 25p per pay-line to 50p, so it is the true definition of penny slots. This makes it just one more reason for beginners to taste the fruits of this game first, before they venture onto harder, complicated, and more expensive slots! The symbols themselves represent a diverse range of fruit: lemons, oranges, watermelons, plums, grapes and cherries! These are the standard value symbols and offer higher rewards, depending on how many you land on the reels. The more important and higher value symbols is the star and the Scarab beetle! The beetle will act as the wild symbol and it will substitute any other symbol to create winning combinations! Whereas the star is your scatter symbol and it will provide you with a generous x5, x10 or x50 multiplier depending on if you discover 3, 4 or 5 stars on the reels at the same time! With the River Nile traditionally being known as a symbol of luck, isn’t it about time you discovered just what kind of luck and fortune it could bring for you? With a minimum bet of just 25p too, there is a fruitful opportunity for everybody!